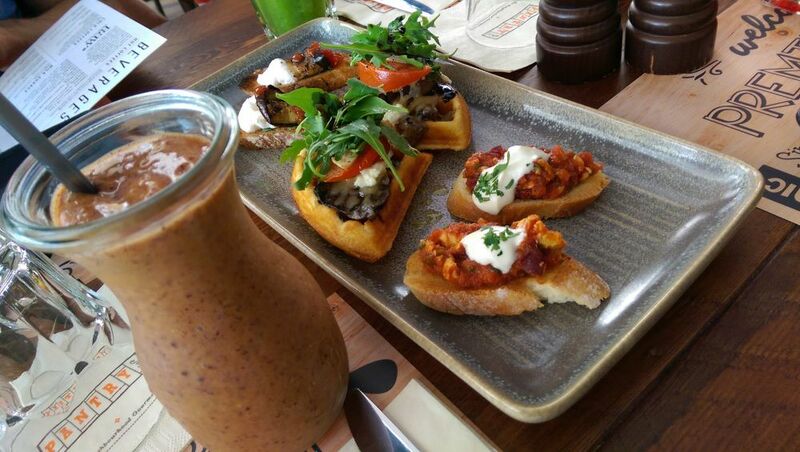 In search of the perfect spot for weekend breakfasts in Dubai can be hard. Especially when you are new to the city. There are so numerous cafes offering and promising you the best in the city but to tell you the truth, for me, almost 70% of them are crap or below average in terms of service and quality. They have to know(especially the service staff) that when people wake up early for weekends for breakfast, we expect the freshest and the best ingredients served on the table and a remarkable service is a major plus point if they want us to running back to their place every now and then. Brunch for me is always the best meal(except when you are nursing a hangover from last night’s party). As my mum would always say, eat breakfast like a king, a queen during lunch and a court jester at dinner. She is perfectly correct on this. I wish I have kitchen at home looking like this… Very New York. Pantry Cafe. Your neighborhood gourmet cafe. 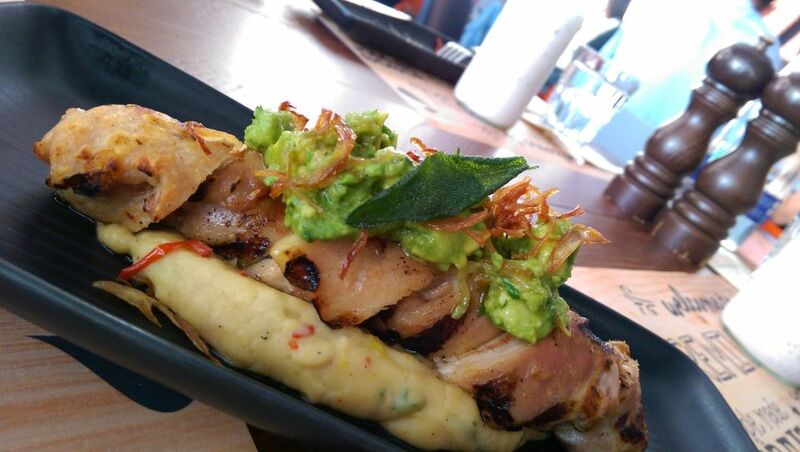 They have been here in Dubai for quite a while now, their first branch was by the Jumeirah area, near Al Safa park. Since there is heavy construction going on due to the Dubai Canals linking the Burj Khalifa to the sea, I am trying to avoid that location. 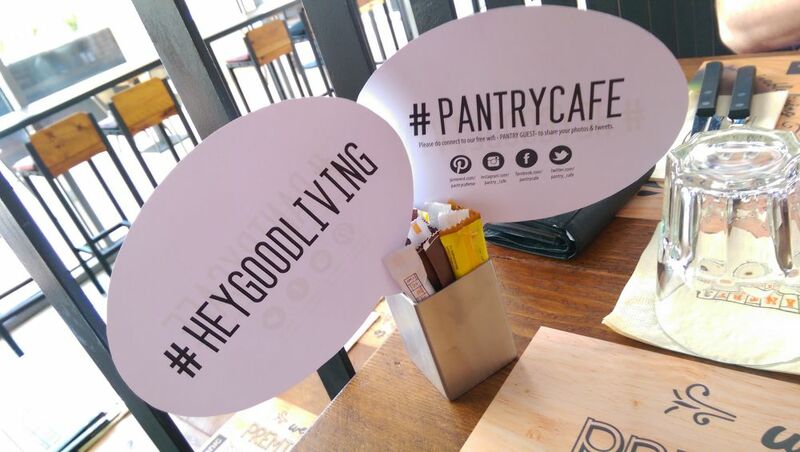 My friends always say they have great time whenever they are in Pantry Cafe. So thankfully, I got an invite from the owners to check out their new branch and menu at their second branch at Business Bay. 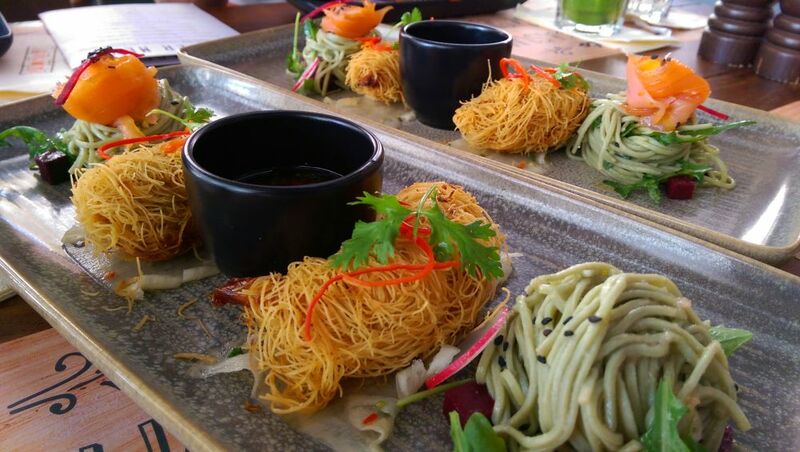 I got the full taster’s course of all their bestsellers and new dishes not just for breakfast but for lunch as well. The owners have a devotion and promise of providing you the best and freshest ingredients from the daily market and to your plate. One happy tummy again in Pantry Cafe. Below are some of the dishes I have tried. Good thing I brought three of my friends to experience what they have to offer. We didn’t get to try all as we were already full halfway(we were suckers on their shakes and mocktails at the start so we ran out of space for their amazing food fired brick oven pizza, which they really are proud of. 2015 is the year of hipster design, from logos to brands to interiors. 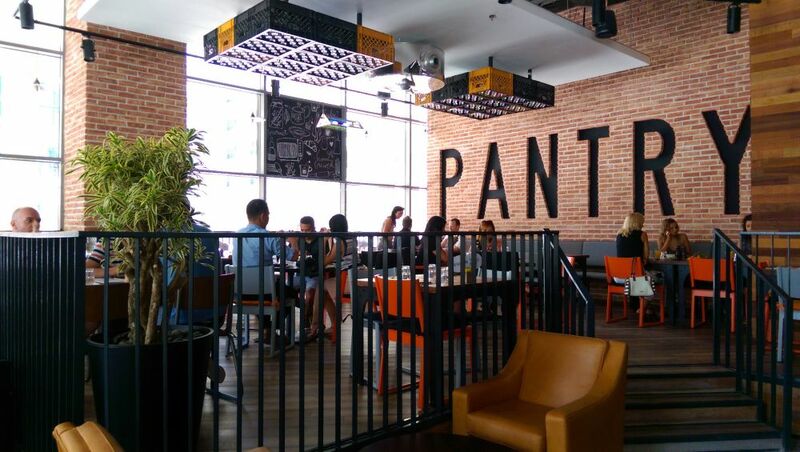 Pantry Cafe is part of that design revolution. 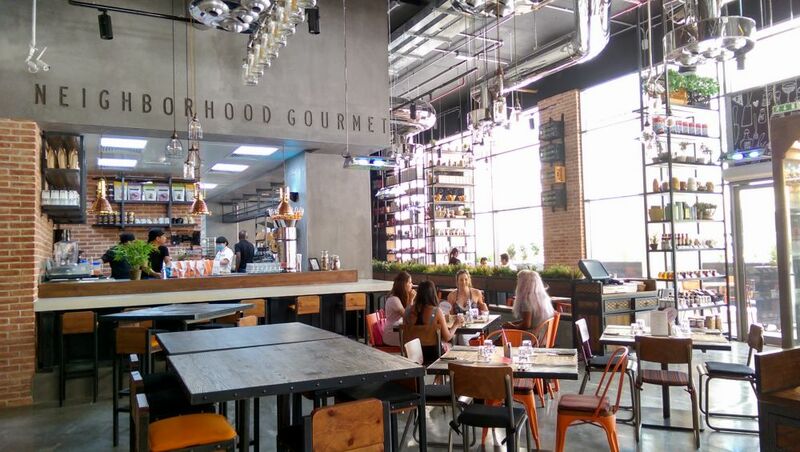 Brick walls, exposed ceilings, exposed bulbs, metal inlays and aluminum and stainless steel art throughout. The interiors complement what they bring you to the table that somehow you feel like your somewhere in Philadelphia or Boston having your breakfast. Note: never been to those U.S. cities but I just feel like I was there. 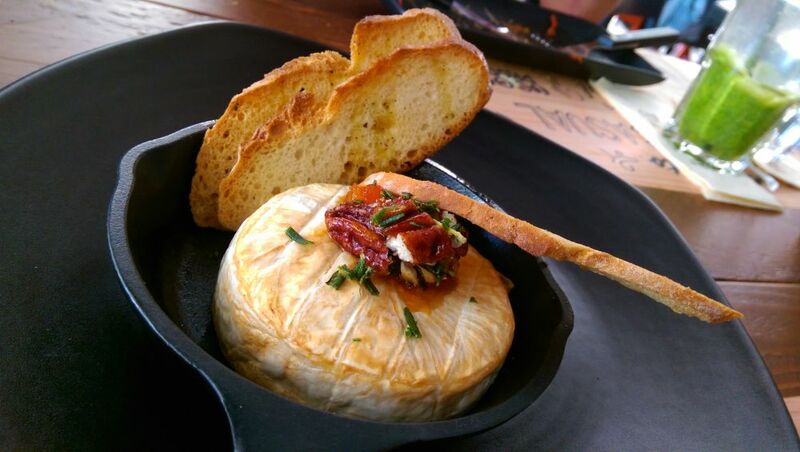 Another favorite, Baked Brie with red tomato chutney and candied pecans served with crostini bread. Note: they could have put more pecans and chutney on the side. We ran out halfway. 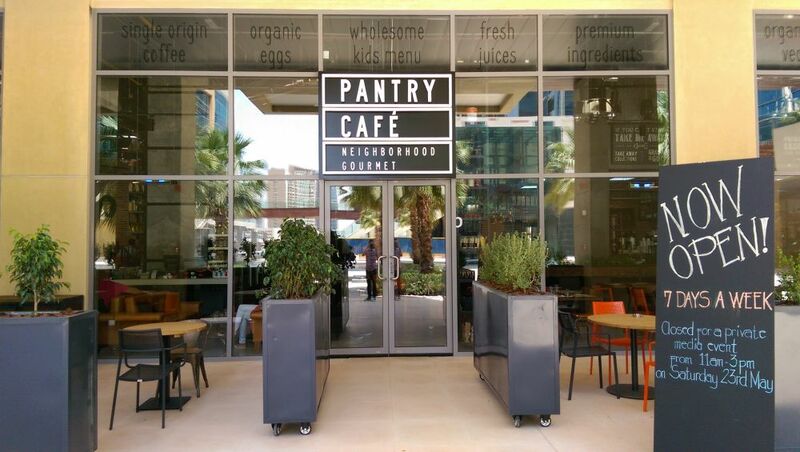 Pantry Cafe is now open in Bay Square Business Bay for early breakfast till dinner. Their prices are average and typical Dubai. So I suggest you stop eating at below average places and try these great breakfast spots. Another point, this is the time when cafes in Dubai will allow you to linger as you like in their establishments and not bug you if you don’t order an hour later. Support locally grown restaurants and try to shy away from mainstream international restaurants that serves you a plate of calories that will suffice for a week. Eat healthy and eat smart. Don’t forget to hashtag your meals! It’s not just being cool or even irritating but it helps other people find new things and places to eat! I found these places because of hashtags. And you have your classic Shashouka. 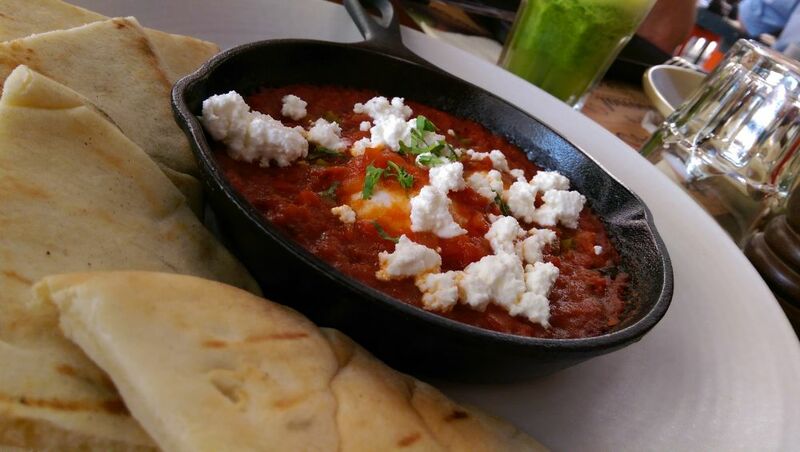 Organic eggs with spicy tomato sauce, crumbled feta and jalapeños. If you want your breakfasts with a little kick, order this. 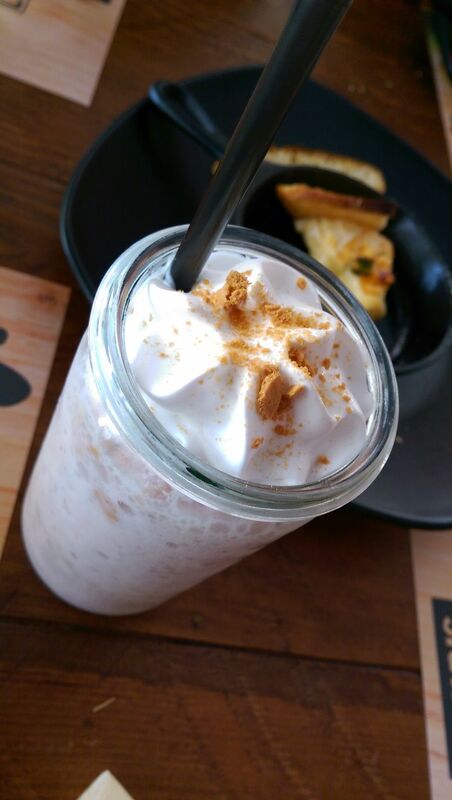 My killer strawberry cheesecake milkshake. I know its full of calories but hey, its the weekend!